Most people seem to wake from the (un)dead and are brought back to life each day with a cup of coffee... or more. Breakfast foods are really no different. 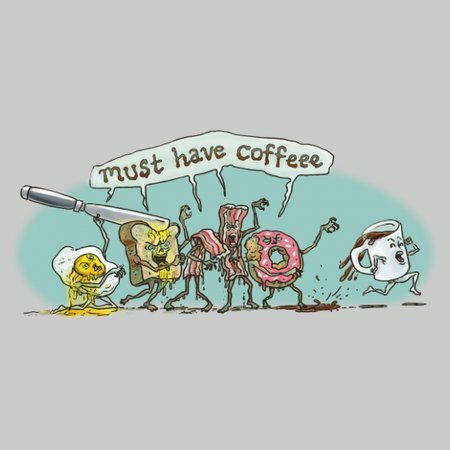 After all, everybody must have coffee. 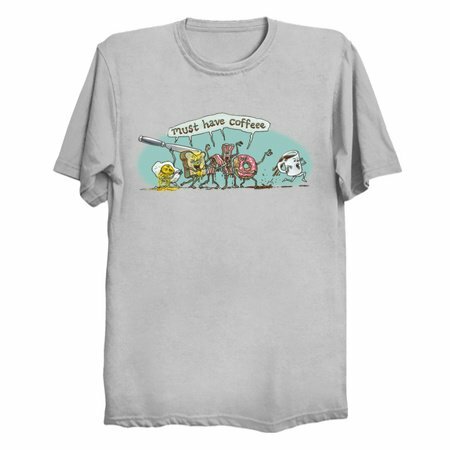 Featured is cup of joe running for dear life as bacon, eggs, toast and doughnut give chase.